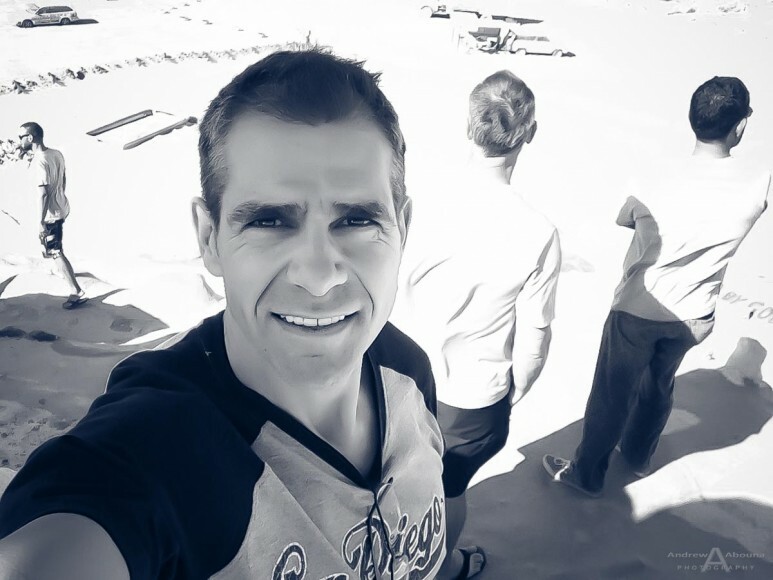 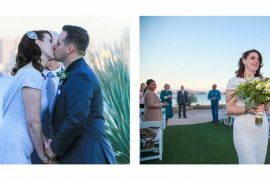 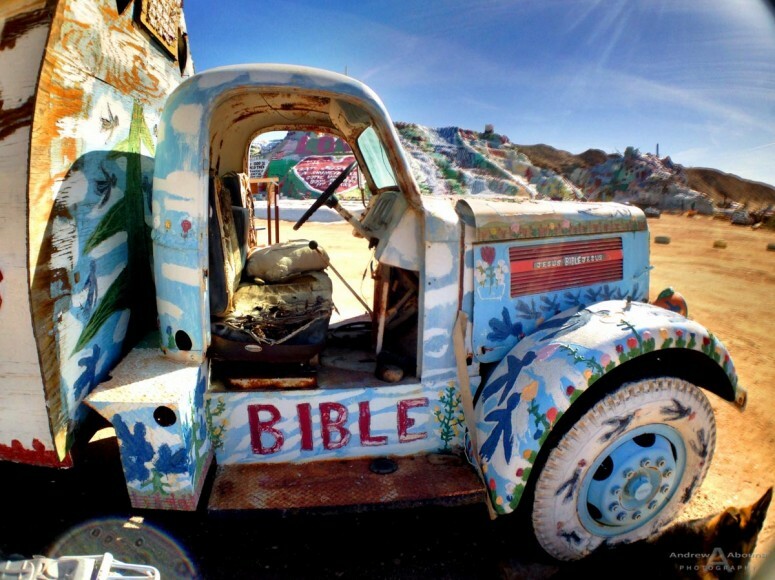 On our recent trip to run rim-to-rim through the Grand Canyon, we made a stop at Salvation Mountain in Imperial County, Southern California. 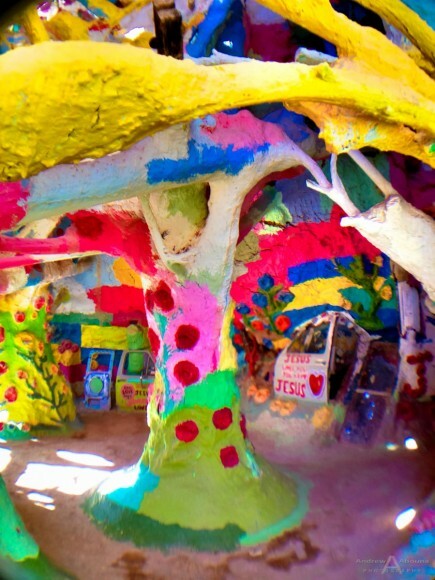 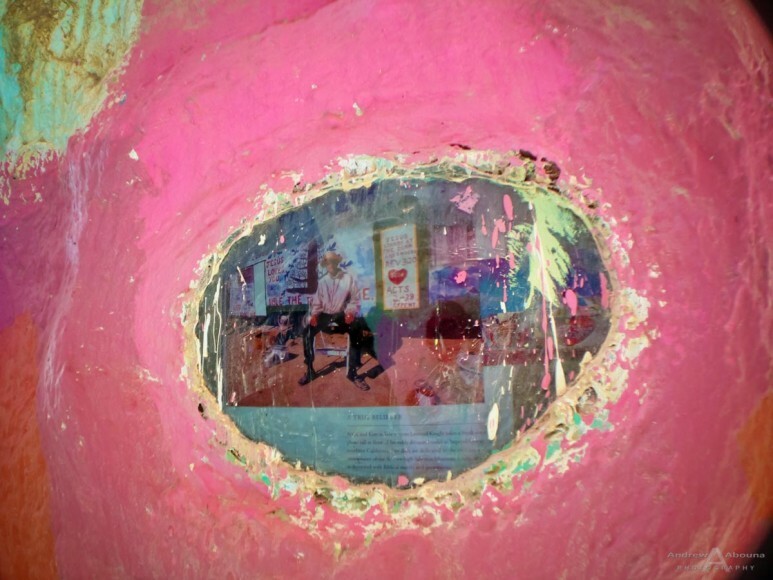 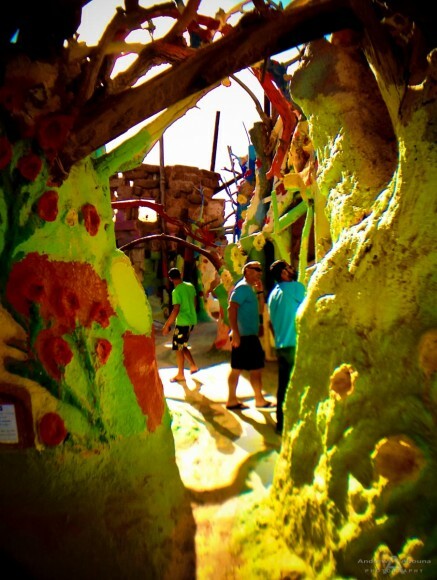 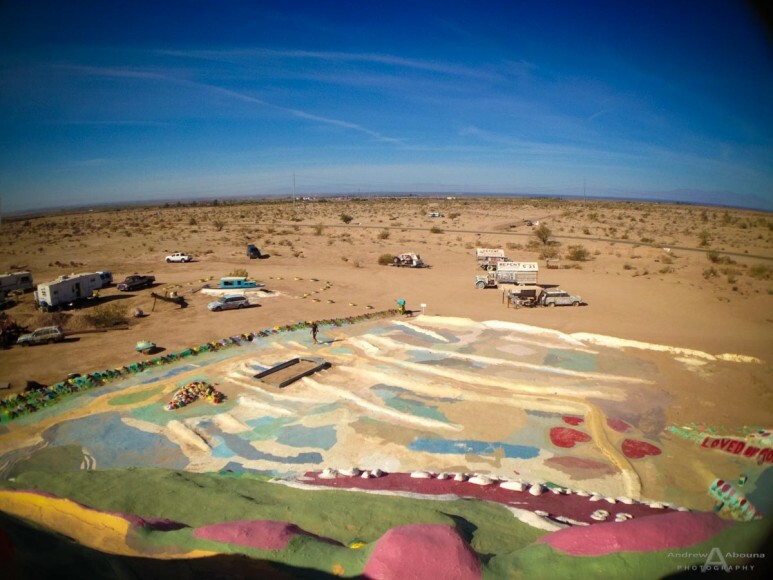 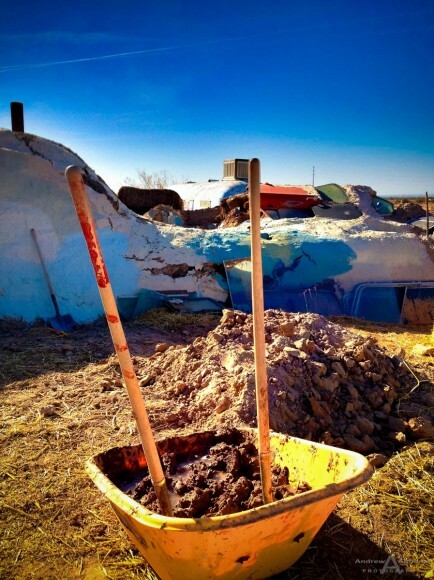 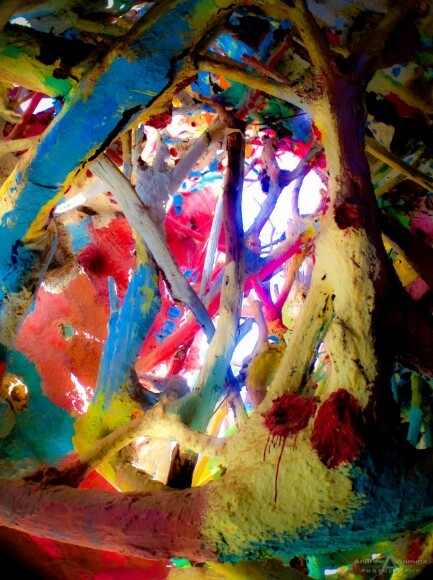 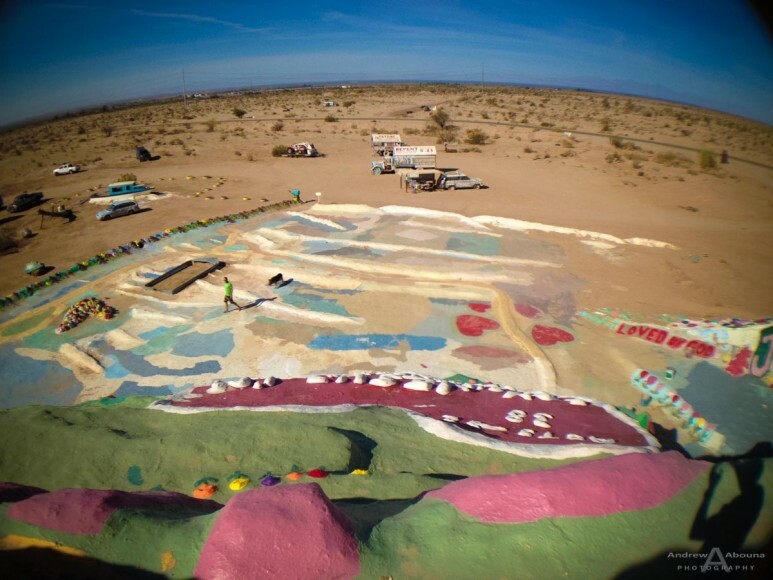 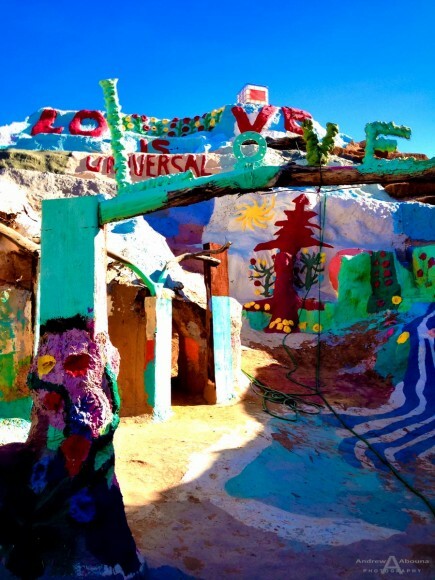 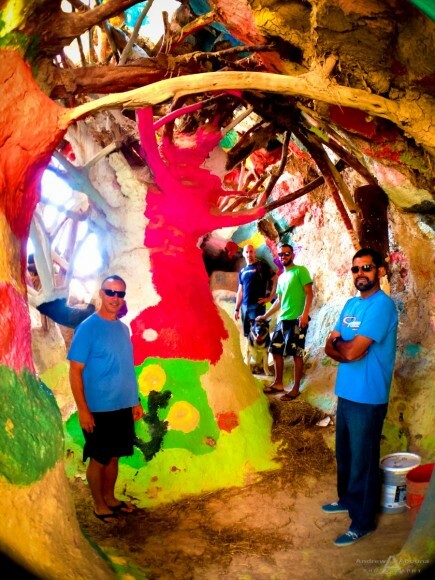 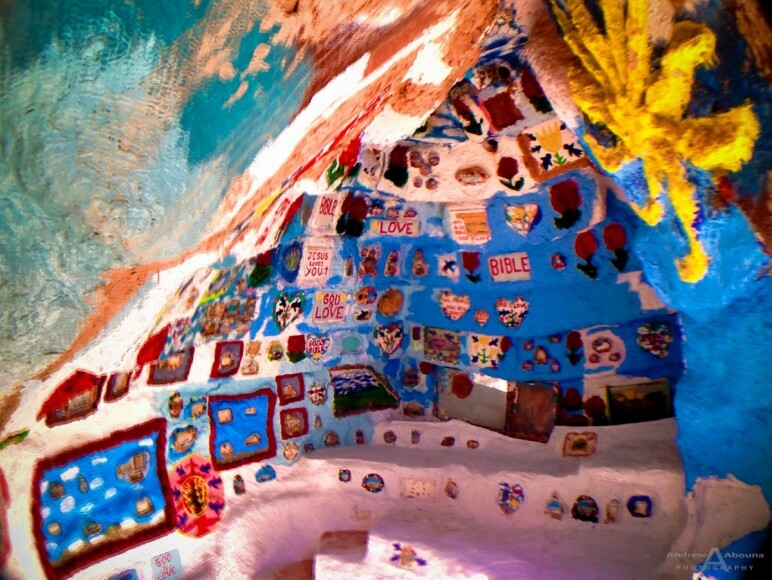 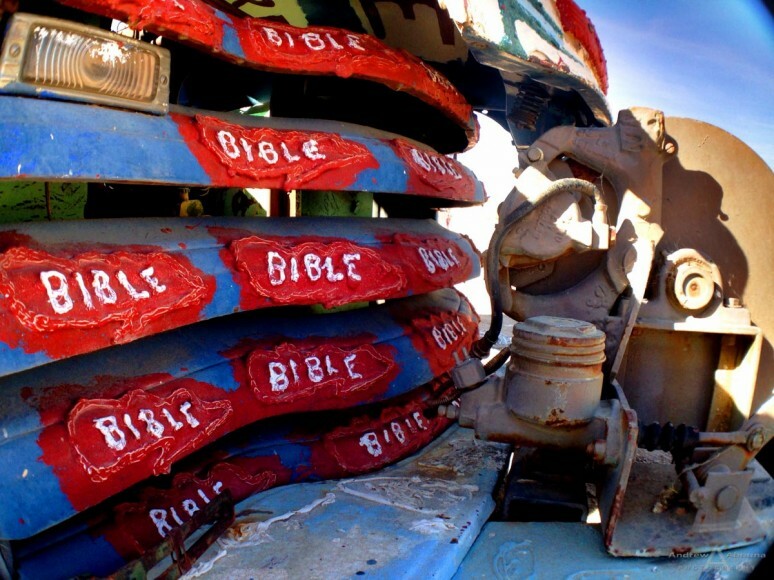 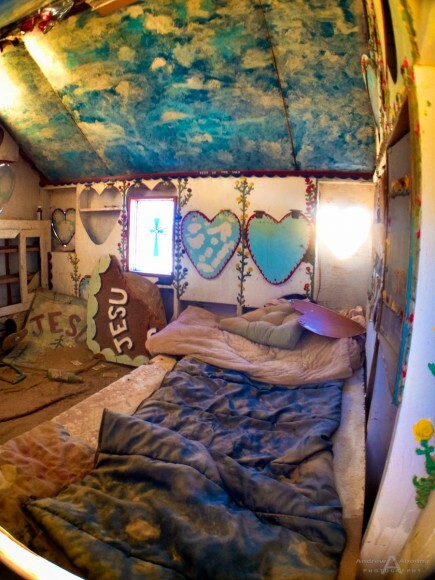 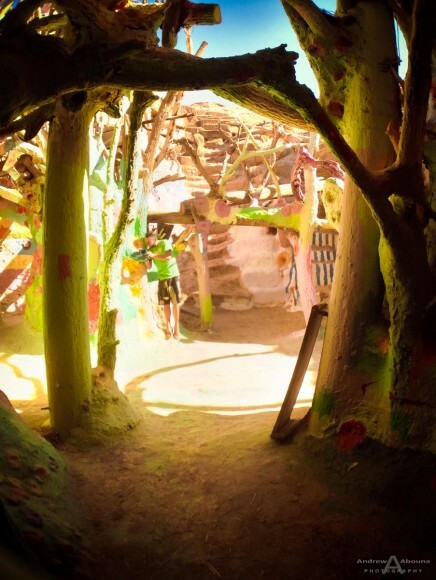 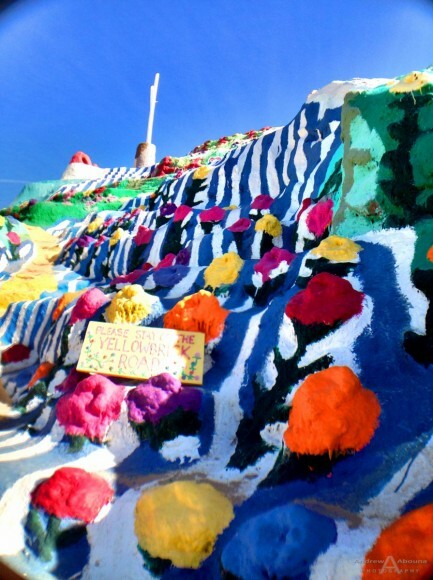 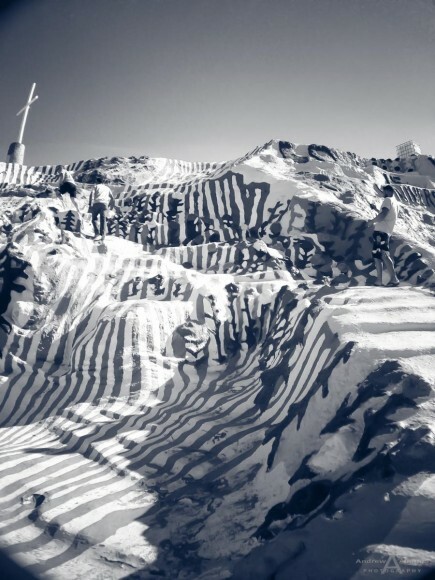 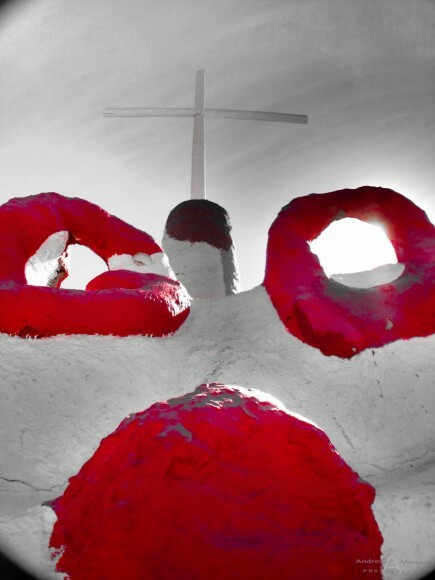 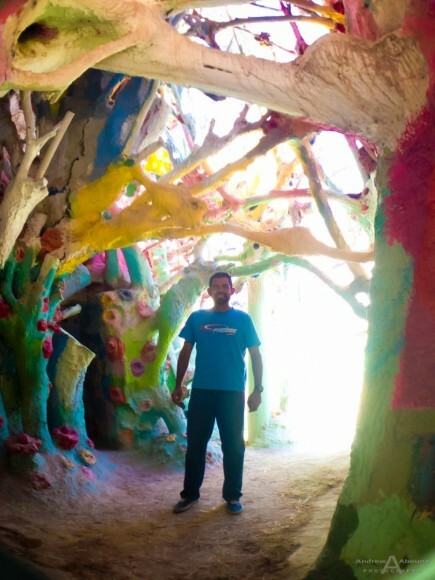 Salvation Mountain is the creation of one man’s near 30-year effort to transform a hill into art in the Colorado Desert. 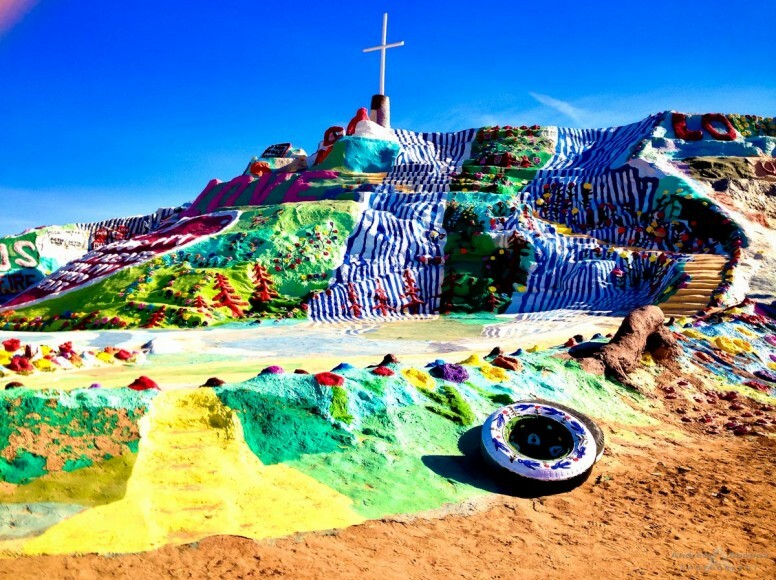 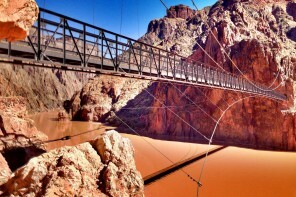 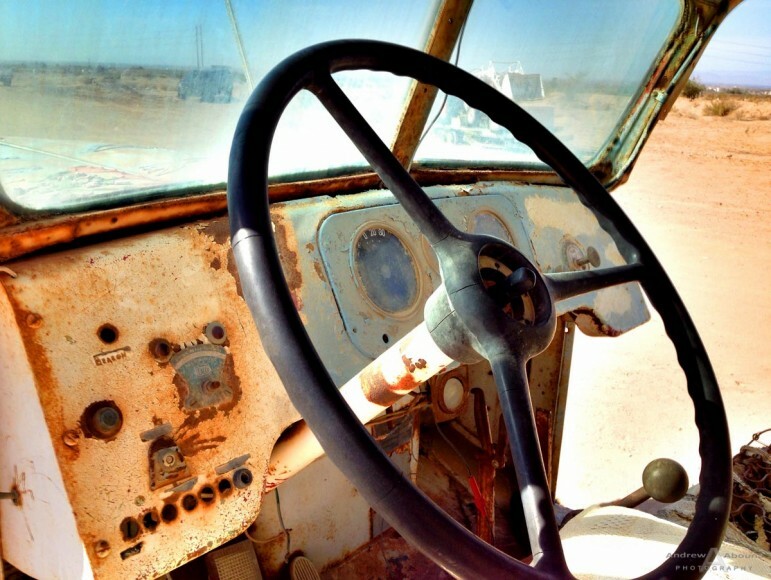 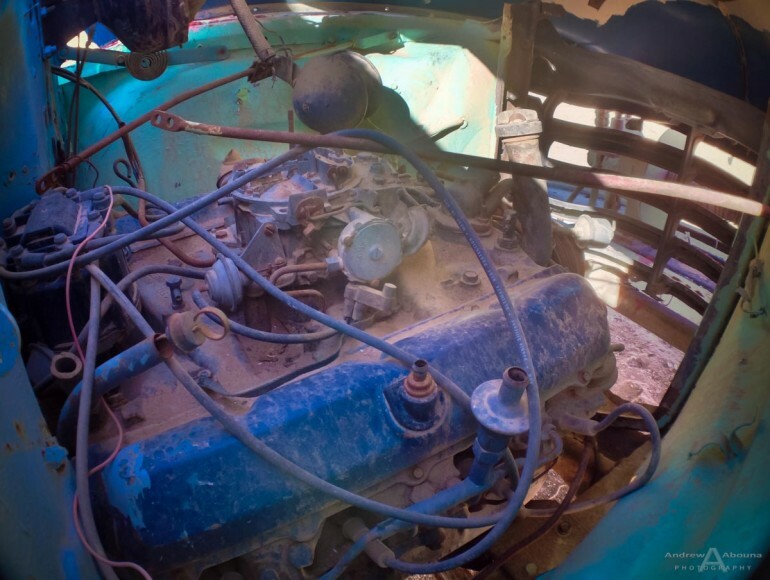 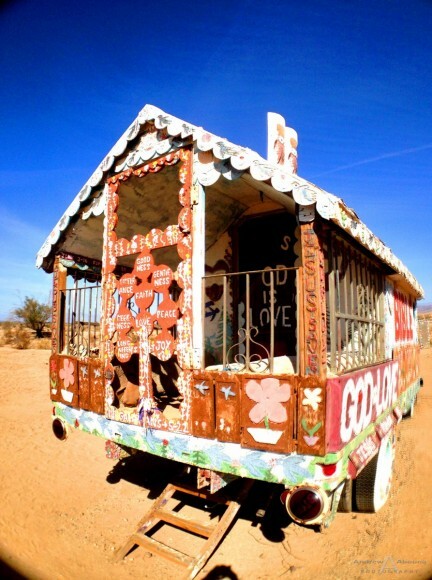 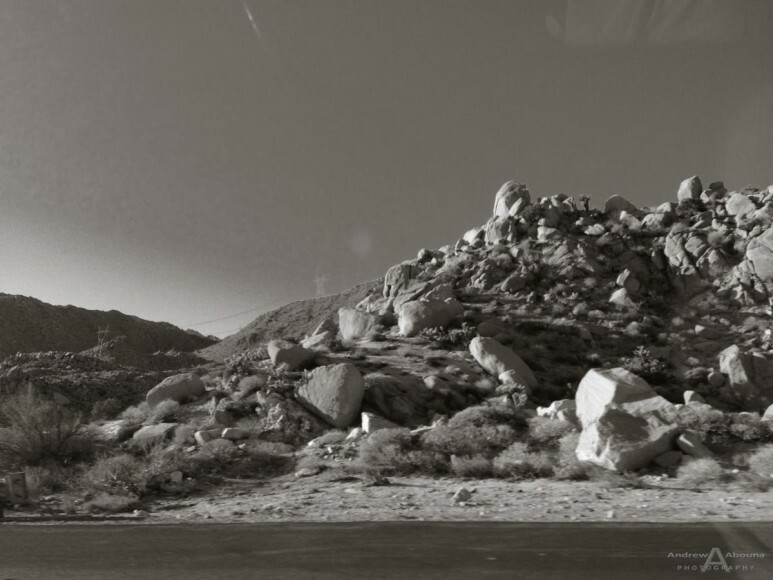 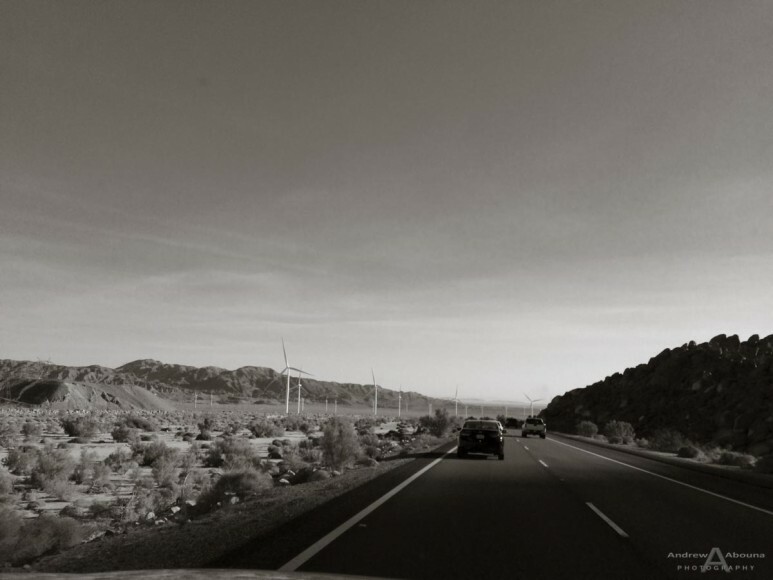 Located just north of Calipatria near Slab City, and several miles from the Salton Sea, it’s one of the most interesting, colorful and very much worth seeing sites in Southern California. 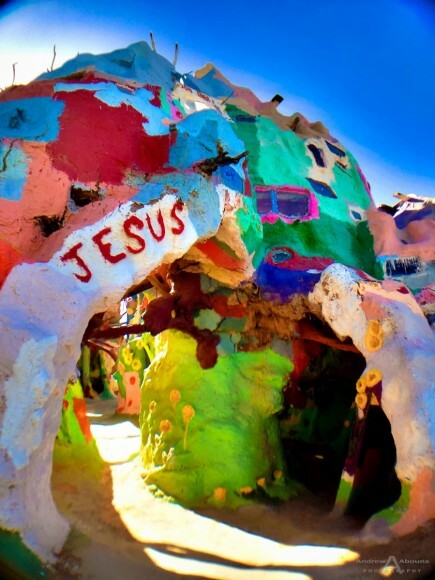 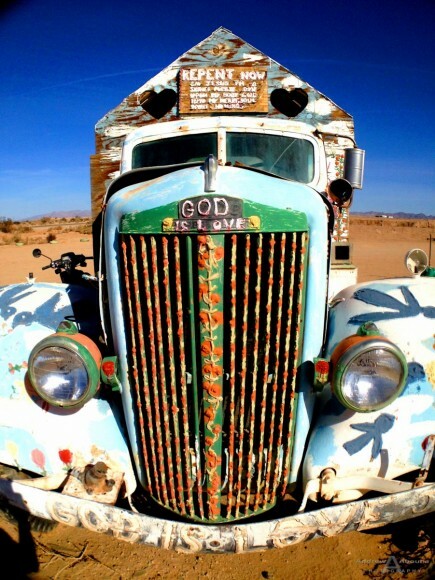 Salvation Mountain was created by just one man, Leonard Knight (1931–2014). 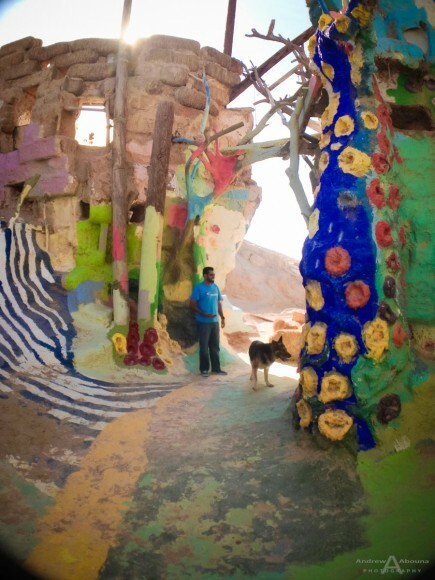 Sustaining himself on a meager $300 month retirement pay from the military and living in a tiny camper for about 30 years (a picture of which is in this gallery), he made the art work from adobe, straw, and thousands of gallons of paint. 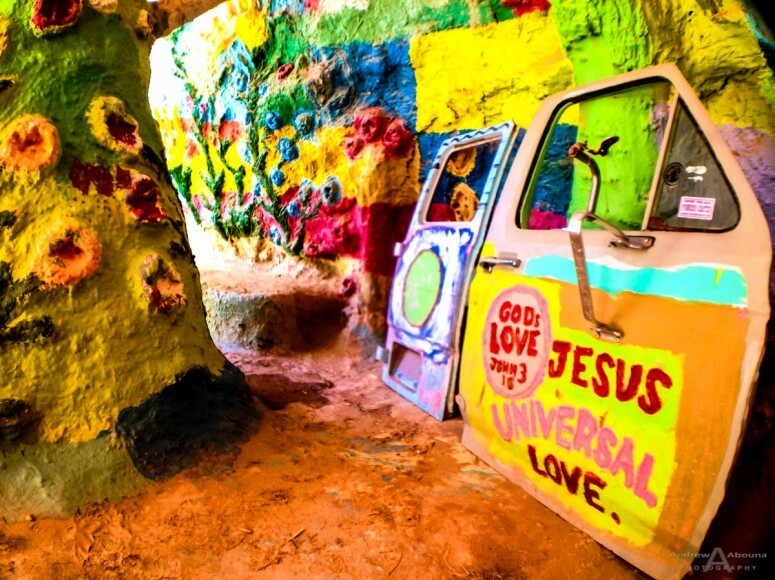 The art consists of numerous murals and areas painted with Christian sayings and Bible verses. 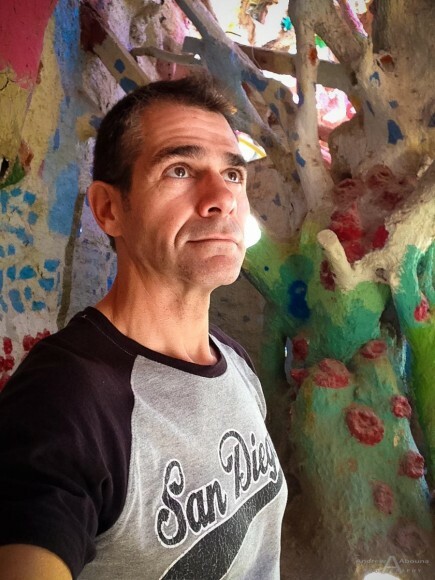 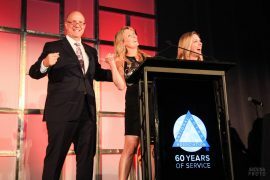 In December 2011, the 80-year old Knight was placed in a long-term care facility in El Cajon for dementia.Leonard Knight died February 10, 2014 in El Cajon. 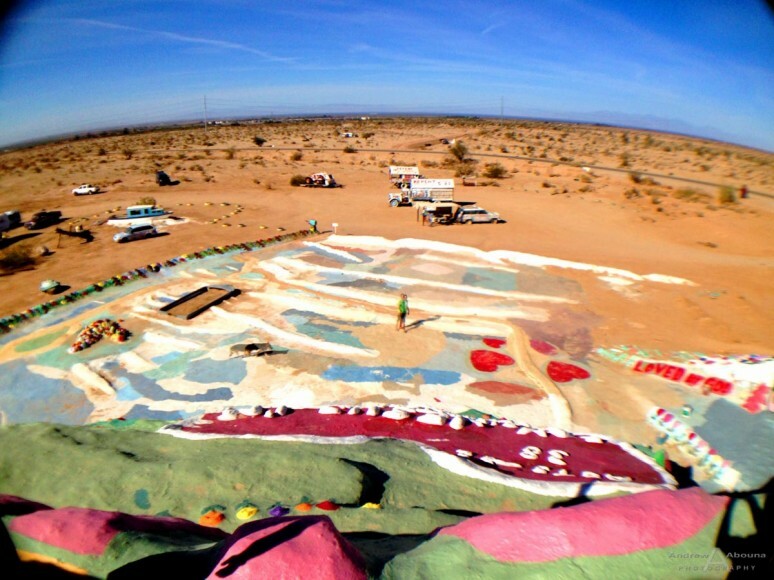 Concern has been raised for the future of the site, which requires constant maintenance due to the harsh surrounding environment. 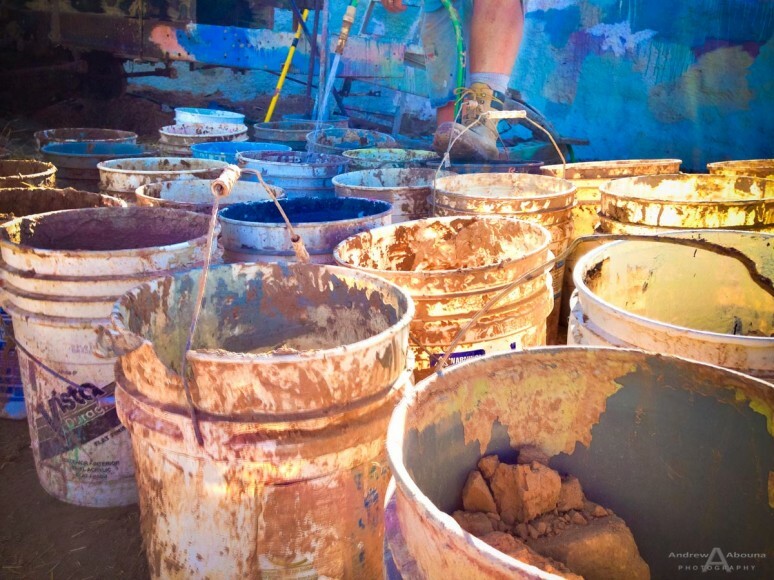 Many visitors bring paint to donate to the project, and a group of volunteers has been working to protect and maintain the site.